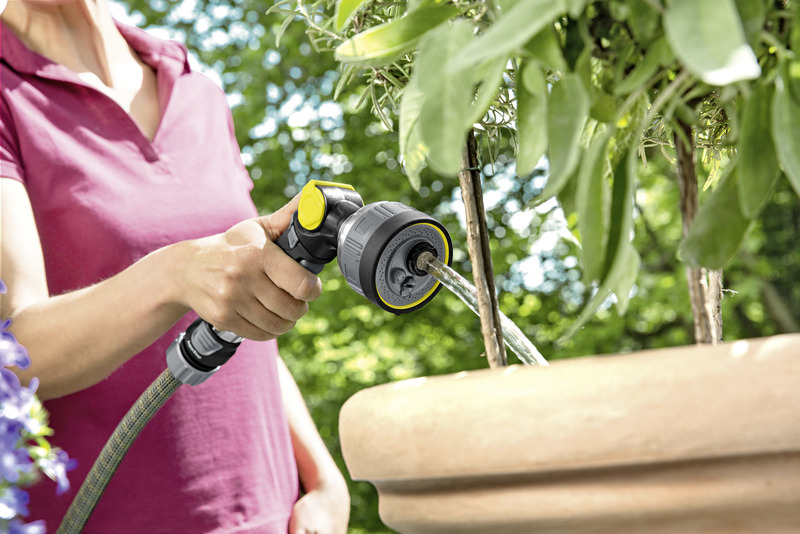 Multifunctional Spray Gun Premium 26452710 https://www.kaercher.com/ie/home-garden/watering-systems/nozzles-and-spray-lances/multifunctional-spray-gun-premium-26452710.html Multifunctional Spray Gun Premium with soft grip components and unique rotating handle for push and pull operation. 4 spray patterns and water flow regulation. Works with all other brands. 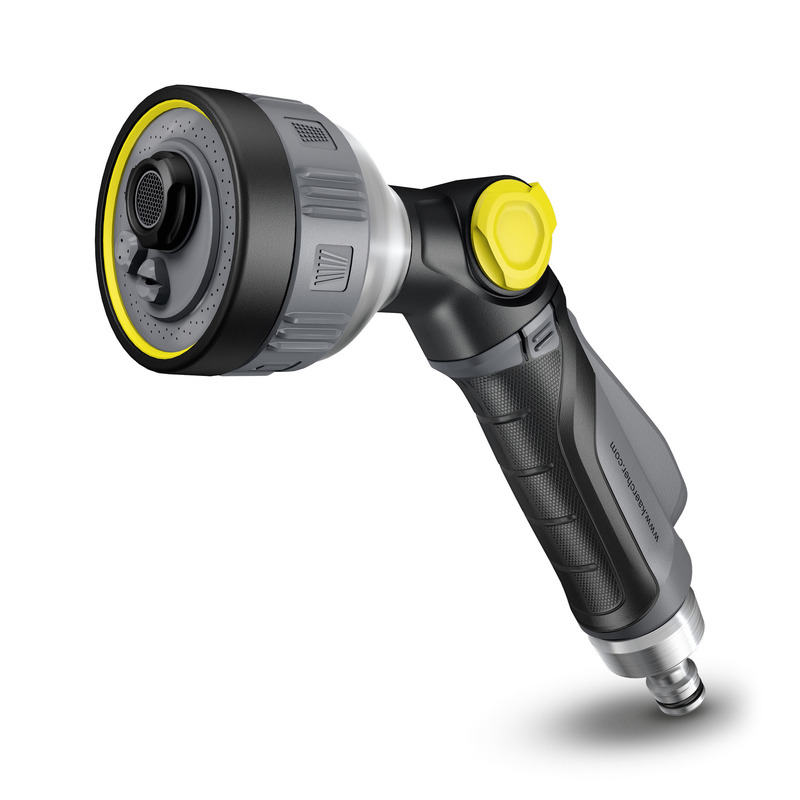 Multifunctional Spray Gun Premium with soft grip components and unique rotating handle for push and pull operation. 4 spray patterns and water flow regulation. Works with all other brands. The Multifunctional Spray Gun Premium comes with the innovative rotating handle, dual seal drip free technology and soft grip components for easy and comfortable watering. 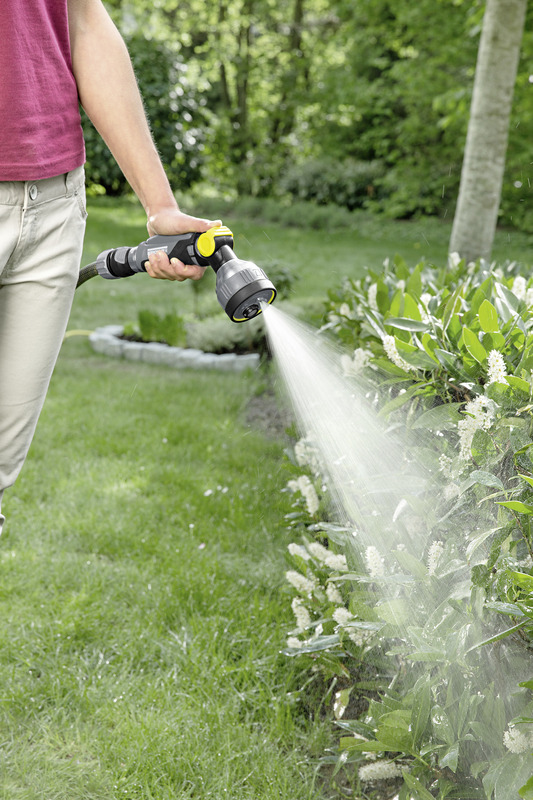 With 4 different spray patterns, the multifunctional spray gun can be used for watering seedlings with the fine mist, borders with the wide spray and cleaning garden tools with the power jet. With spray patterns from fine mist to pencil jet, the spray gun premium can be used for all watering needs and also cleaning garden tools. The new rotating handle allows the user to change the trigger from either a push or pull system. The Premium range of spray guns come with metal components, making them extremely robust and long-lasting. 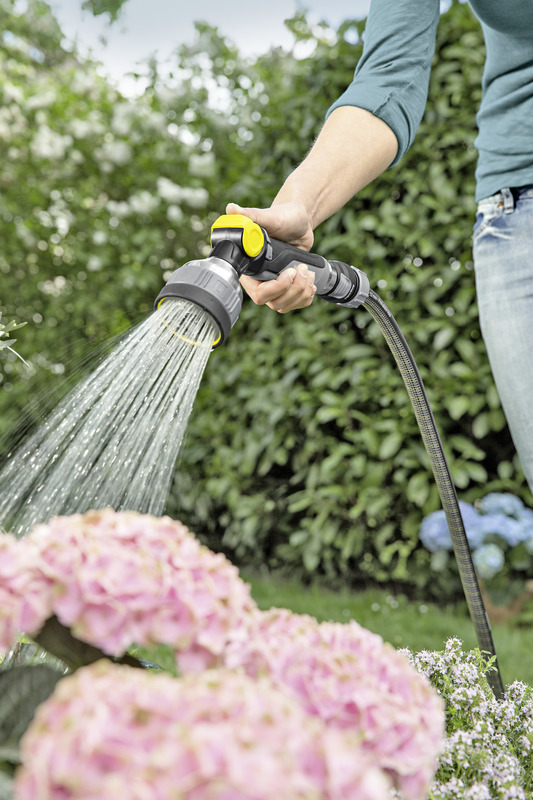 All Kärcher watering products are compatible with all other watering brands. Multifunctional Spray Gun Premium is rated 2.2 out of 5 by 5. Rated 1 out of 5 by SE15 BOY from karcher go back to the drawing board i bought one @ wickes and within 20 minutes i returned it, i have a k7 which is superb but wanted to change the spray gun to my hozelock but was dissapointed in the flow rate, what you see on the video is not what happens when you get home or on the site, what will 6bar do? Rated 1 out of 5 by marcusfilarcus from Disappointing quality from Kärcher Sadly, the way it is made is extremely poor although the materials are high. I accidentally dropped it on the lawn and it literally split in two parts and was impossible to fix. Having returned it, I received a new replacement. Unfortunately sometime later I happened to drop it again and the same thing happened. This product is simply not worth the money and far from being "premium". There is a major design flaw which Kärcher have not addressed. What a shame. Rated 1 out of 5 by Doon from disappointing Spray gun not very robust - accidentally dropped it and it dis-intergrated. Hose also falls off the tap. Rated 5 out of 5 by Rowmarsh from Excellent Quality from Karcher Brilliant piece of kit and the best I have ever owned with a nozzle. I read the negative review about the reach of the jet. This is not a fault with the nozzle but low water pressure. Rated 3 out of 5 by Thalia from Very easy to use and easy to operate. Very pleased on the whole with the Karcher multi spray gun my only complaint would be that the 'jet' doesn't have a very long range if you want to soak something at the back of the garden. Hence only three stars.